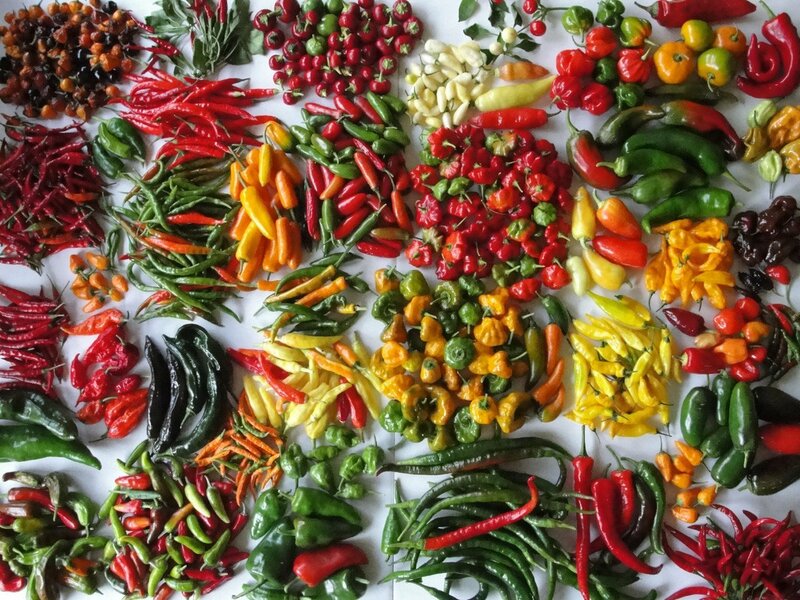 Datil peppers are cultivated throughout the United States and elsewhere, but the majority are produced in St. Augustine, Florida. Although local lore suggests datils were brought to St. Augustine by indentured workers from Minorca in the late 18th century, it is more likely they were brought from Chile around 1880 by a jelly maker named S. B. Valls. Datil peppers are used by the Minorcan community in many recipes. 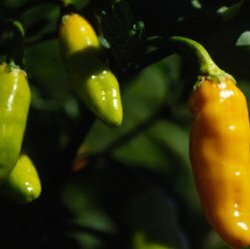 The Datil pepper is an extremely hot pepper of the species Capsicum chinense, and is one of the hottest peppers in the world. However, in addition to simply being an exceptionally hot pepper, a Datil pepper has a distinctly smoked and fruity flavor. If you've never tried one, but like hot peppers, then this is a must taste item!